It’s that time of year, pumpkin everywhere. 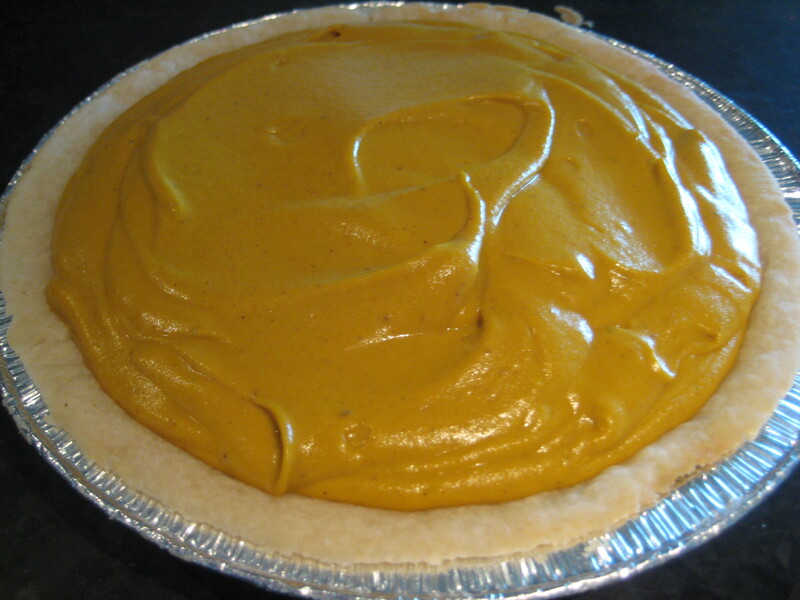 I was at Sunterra Market in Calgary a few weeks ago and they had organic unsweetened pumpkin pie puree on sale. So of course, I stocked up. I have made pumpkin pie from scratch, and there is nothing like it. Well, having cans of pumpkin ready to go makes using this healthy ingredient (pumpkins are full of important vitamins) that much easier. This pumpkin pie recipe comes from the same great gal who gave us Chia Seed Pudding, Kathy Patalsky from Healthy-Happy-Life blog. 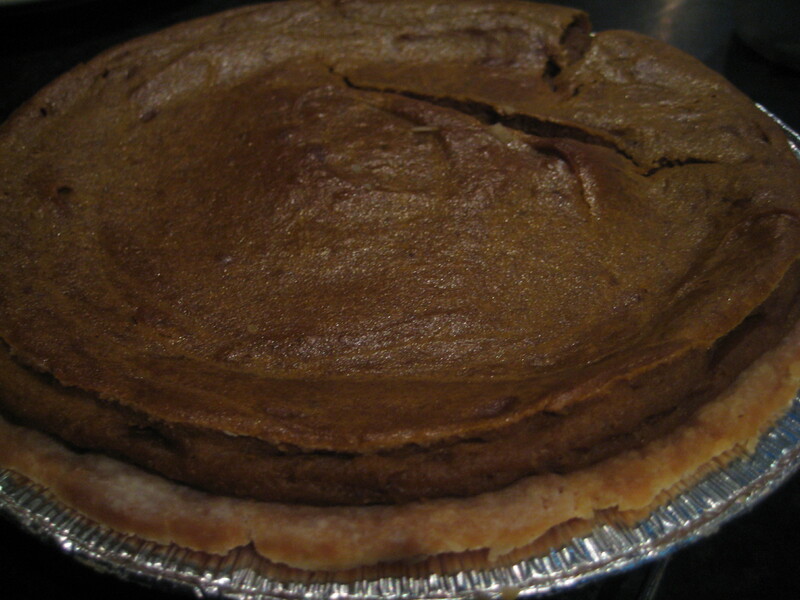 It is vegan and only has four ingredients, well five including the pie crust. That’s my kind of recipe, especially when you are experimenting. There is nothing worse than trying a recipe with a bunch of ingredients and steps and it doesn’t turn out all that great. Blah. This pumpkin pie recipe delivers. I experimented with a rice flour pie crust because I am making this for a gathering of friends and one has celiac. I didn’t love the pie crust, but hey, it did the trick. I picked up the rice pie crust from Planet Organic and noticed they had whole wheat pie crusts as well, two in a pack, mmmm. I had more filling than the pie crust could hold – but the rice crust is a bit smaller. That didn’t matter, I ate it right out of the Vitamix! I made my own pumpkin spice, see below. It gave me the opportunity to use the whole nutmeg I got in Mexico last year, fresh ginger and Mexican cinnamon. Because the pie was a bit full, I had to bake it twice as long, 65 min. The crust was tough, but softened the next day. I will try not pre-baking it for 8 min next time. If I have a regular crust, I’ll try the pre-bake again. We didn’t try it with coconut whip, but will next time. I looked up that whipping gadget she uses and it is TWICE as much on Amazon.ca than Amazon.com. Annoyed. Maybe The Bay will have it. I also so want a jar of vanilla bean specks, that’ll get me to the mall and Williams and Sonoma. A very full pumpkin pie ready for the oven! TIP: I freeze my ginger whole, and grate as I need. Perfect way to always have it on hand. If you buy a fine hand grater, then it is a cinch to add in a zip. Seriously, make this. It is guilt free, vegan, naturally sweetened and makes you happy. It is still June so I have time to post a recipe for the Yoga Shala! This month it is Mushroomy Pate. I have had this before but made a few changes and added coconut oil, a miracle ingredient I am eating a lot of for fertility (I’ll let you know how that goes). This recipe is simple and a great accompaniment to veggies, crackers or a baguette. It is fairly common to make pates from a mixture of mushrooms and a variety of nuts, like almonds, walnuts and in this case cashews. I have a raw food mushroom recipe I’ll share one day too. I love tapas and mushroom pate’s make a great addition to small plates. This recipe is adapted from the Vegetarian Times. Melt the coconut oil in a large skillet, add the onion or celery, sauté for a few minutes, add the garlic, curry powder, cumin and cayenne, continue to sauté for 2 minutes. Add the mushrooms and sauté until browned and most of the liquid has evaporated, 12-15 minutes. Add the sherry or port, cook a few minutes more and remove from the heat. Add the mushrooms, toasted cashews and almond butter to a food processor and puree, letting steam escape. 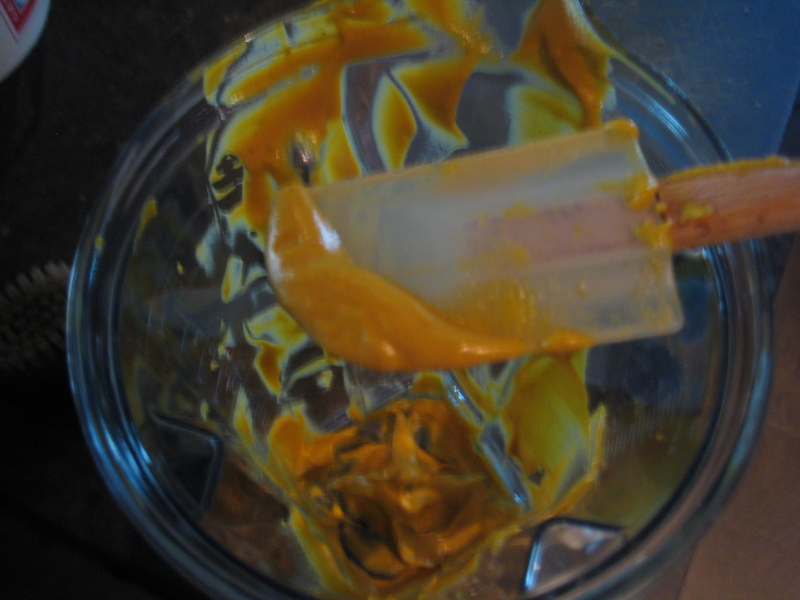 Puree until smooth but with texture. It’s better with time, so chill for a few hours or overnight. Serve with fresh parsley on top.